The new SIG SAUER P – 938 is probably the most dependable 9MM auto in the smallest size available today. Our International Agent holster provides a little FBI cant and the small auto is well seated and balanced in this holster in relation to the belt. 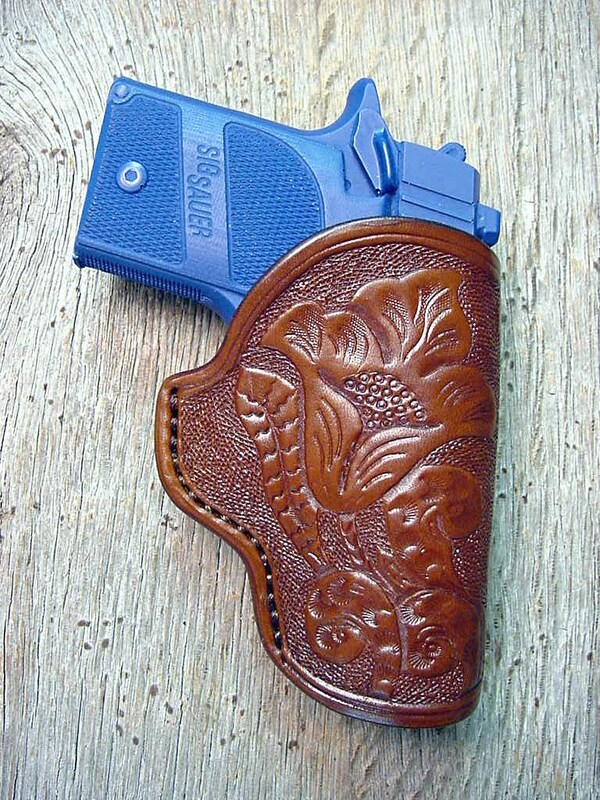 We also give you enough room between the grip and the holster to get your hand around the gun to pull it out. With edge groove ~ $99.95. With one line of edge stamping ~ $119.95. With special “knurled” hand tooling ~ $124.95. With full coverage like basket weave or flowers & vines ~ $149.95. Single and double clip pouches available. 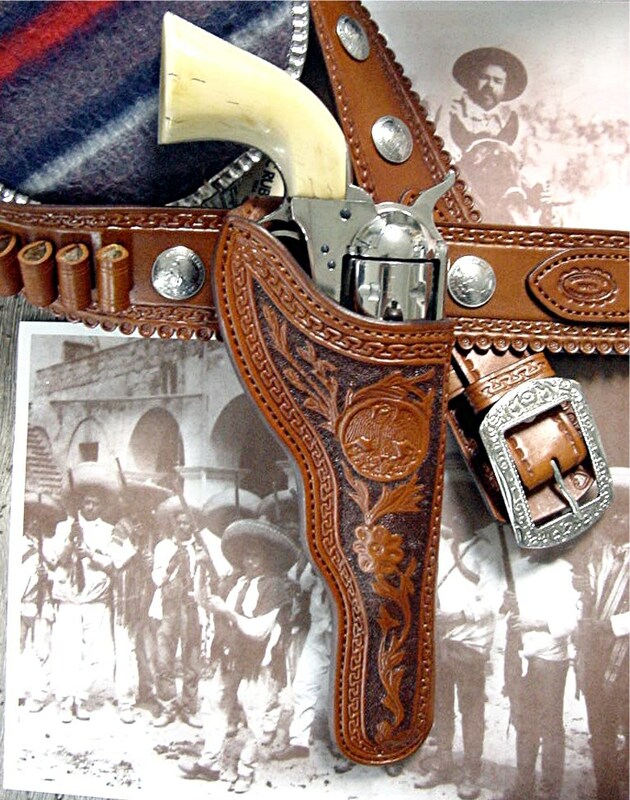 This unique holster style is from the Mexican Revolution period. Notice the low cut front to allow for a faster draw. This pattern was traced from the original which had all the decoration shown actually hand sewn in a method called “Piteado,” which used the fibers from cactus as thread. Our version involves hand tooling and a pigskin lining. The back ground is hand darkened for contrast. Note the rampant Mexican eagle with a snake in its beak sitting on a cactus in the center. The belt has a scalloped lower edge and lazy S style tooling on the top and bottom. There are 5 domed conchos made from actual antique Mexican coins as well as a wide buckle adorned with flowers and vines. The color is saddle tan with a chocolate background. The rig, as shown, with one holster ~ $450. My first impression on removing the ASL-6 from its packaging was how solid it felt – a reassuring heft with clean, functional lines and a comfortable, hand-filling grip. The “taco” style kydex sheath and belt-clip are likewise simple in their execution, yet highly flexible (and ambidextrous) in deployment. My initial, positive impressions were all borne out (and then some) over the following days as I put the knife through a modest range of tasks. The ASL-6 is no lightweight, but it balances very nicely across the double guard with a slight handle heaviness that lends welcome agility to the blade. The 3/16” 1095 blade itself is extremely robust with a nicely executed convex grind and a sturdy drop-point thicker than most yet still capable of fine cutting tasks. 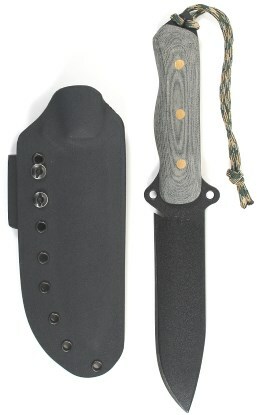 This is a knife that epitomizes the “KISS” principle with features that allow it to perform well in a broad range of tactical and bushcraft roles from functional fighter to baton-friendly splitter of firewood. In short, the ASL-6 has everything you need, and nothing that you don’t. The Canvas Micarta grip scales feature comfortable palm-swells which afford a very positive grip whether wet or dry. In keeping with the knife’s multi-role nature, the beveled pommel is equally at home breaking glass or crushing skulls while the lanyard hole provides retention or a third point for lashing the blade to a pole (together with the holes in either side of the guard). 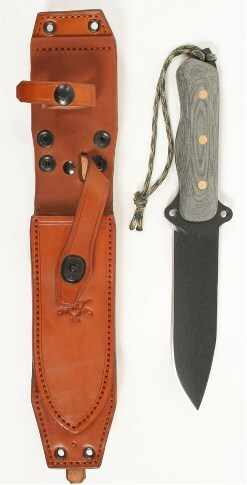 In its sheath the ASL-6 allows for comfortable belt-carry not possible with larger blades or inferior sheath designs. Alternatively, the sheath’s clip and lashing points provide for near-limitless modes of carry on all types of load-bearing equipment. This is a knife equally at home in the local bush or the Hinu Kush. Its near-perfect blend of simplicity and functionality make the ASL-6 a terrific all-around performer. It is a capable fighter when necessary and an excellent camp knife in near every regard. Equally at home chopping wood, cutting rope or skinning game – whatever your task the ASL-6 is ready.